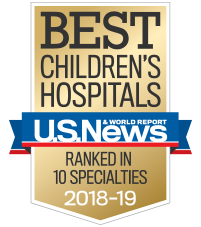 The highly-trained team at Children’s Healthcare of Atlanta offers specialized treatment and care for children living with pediatric hormonal and metabolic conditions, including comprehensive care for children with diabetes. Our diabetes specialists help children and families live with diabetes and learn to balance the demands of the disease and a healthy lifestyle. We offer comprehensive care and support for children with hormonal conditions, which affect metabolism, growth and sexual development.